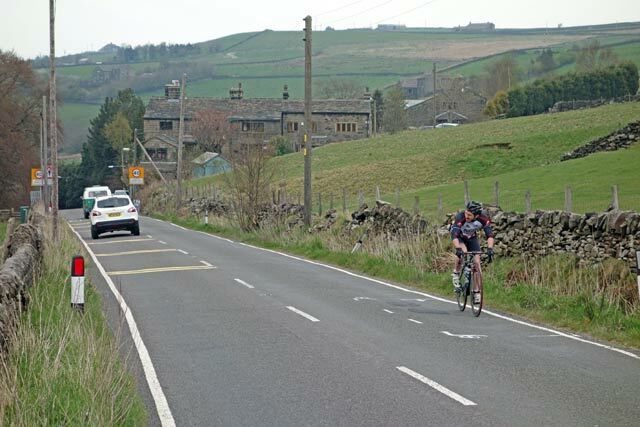 A few years ago, I entered a hill climb on Ripponden Bank (run by Huddersfield R.C and hill climb enthusiast Paul Brierley) I’m glad the Tour is going up this climb, as it will help the prestige of the event. In the middle of the season, you often think of hill climbs and wonder how (and why) you go up the hills in those crazy times and efforts. Today I just settled for a nice steady effort. It’s a tough climb, because it’s quite steep, averaging 10% for the 0.9 miles, with a max gradient of 15% near the bottom; it never really relents all the way to the top. It’s probably steep enough to create the first temporary cracks in the peleton. It will be a good spot to watch the tour. 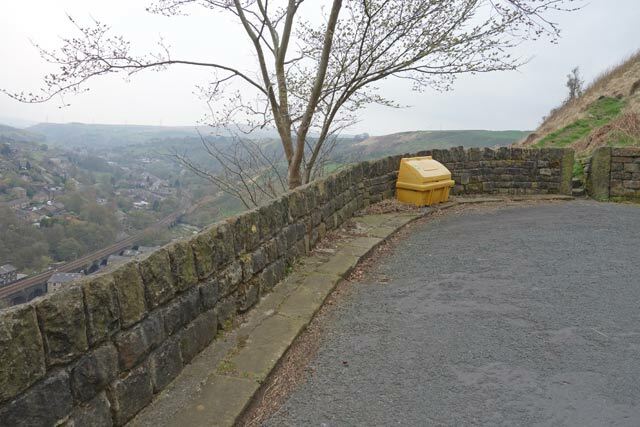 At the top of Ripponden bank, I turned left bank towards Sowerby Bridge. 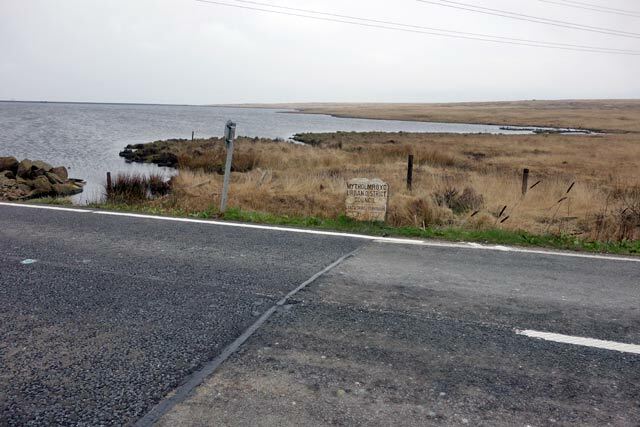 Again with a lack of a map, from Sowerby Bridge, I found myself on a road I wasn’t entirely sure where it was going. The only thing I did know is that it was going up – for a long time. It took me up onto the moors overlooking the valley and eventually I found myself back at the top of Cragg Vale. There’s a great labyrinth of twisty moor roads up here. I was using my time trial bike today, and it was useful for the descent of Cragg Vale into the headwind, though less useful for the steep climb out of Luddenden. 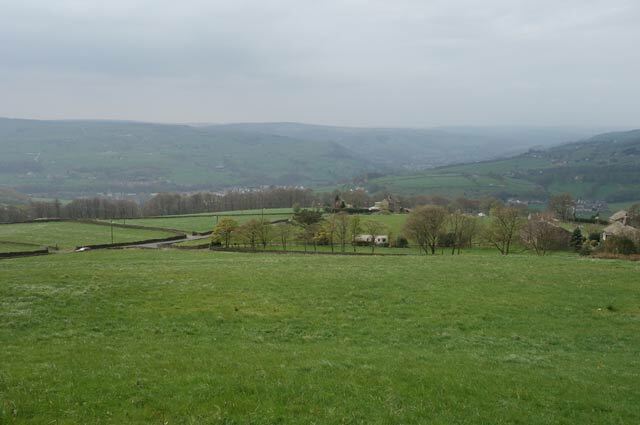 At Mythmolroyd I turned right and went looking for Luddenden climb. 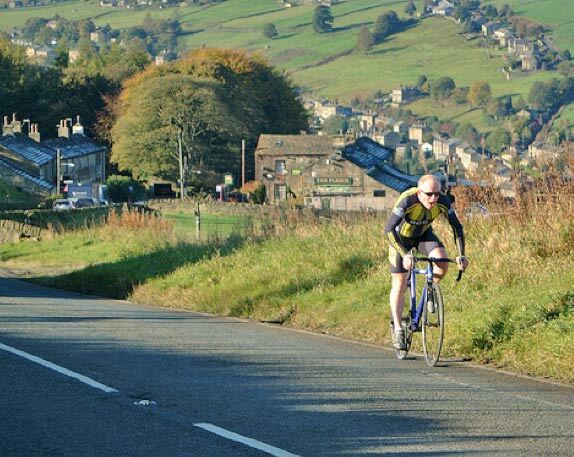 If Cragg Vale was oversubscribed with cyclists, Luddenden is a hidden backwater, only for the brave (or foolish). 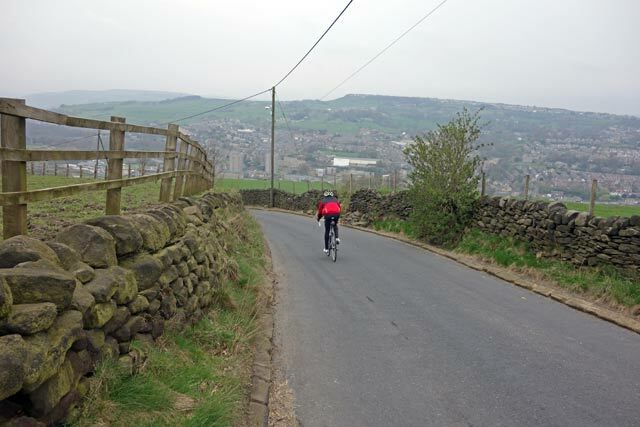 It is a steep and tough climb from Luddenden towards Halifax. The first section is on Halifax lane and steep from the start. The first 300 metres is 16%. Then you turn left into Birch Lane. This then climbs another 1km at an average of 12%. There are two hairpins, which are very steep at the apex. It definitely makes sense to go wide around these corners to avoid the steepest part. It is only in the last section, that the climb eases off, to just 5-7%. There is then a junction at the end of the Birch Lane. If you turn left, you can continue to climb a little more. 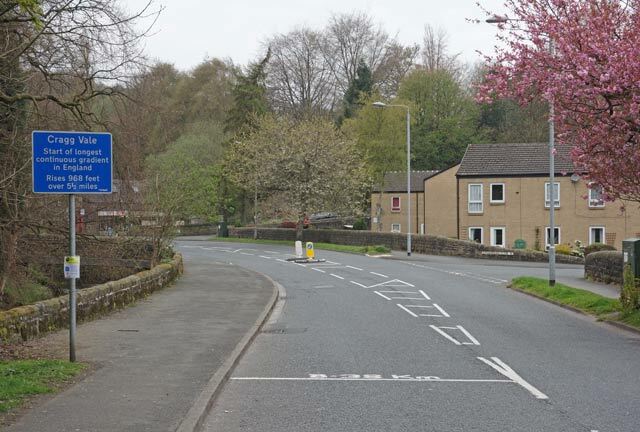 But, this junction is considered the end of the Luddenden Climb. After Luddenden my legs had done enough climbing so it was the long moor roads back to Menston. For a total of 2,800 metres of climbing in 84 miles. It might have been more climbing if I hadn’t got lost in Todmorden, but it was still all good training for next week’s Bristol South CC Mega Hilly! I think you mean Magnus Backstedt!? But big ringing is a non-climbers game! 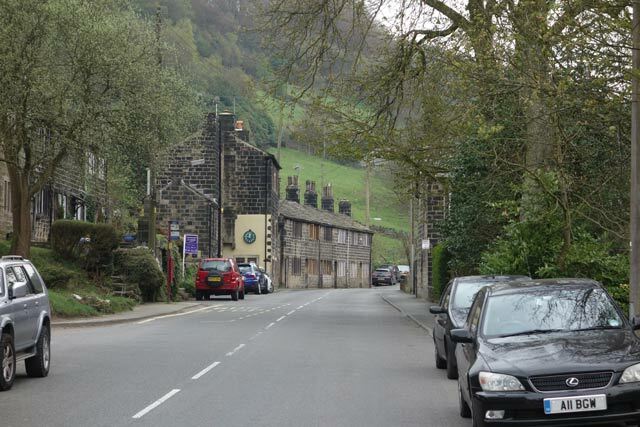 Mytholm Steeps is up a unsuspecting right turn (coming from Hebden), if you reach the bus turning circle, you’ve gone too far! 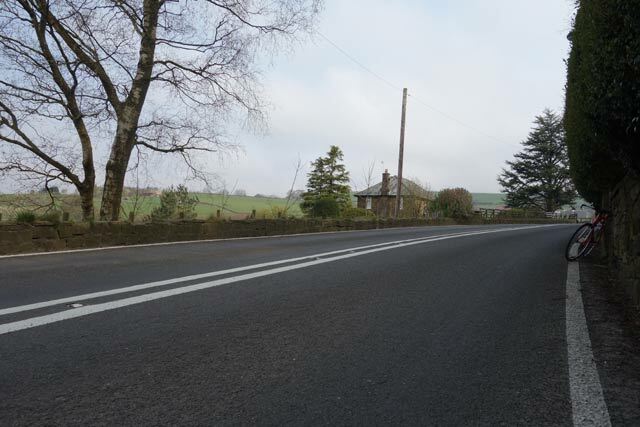 Also wrote about Cragg Vale here – http://www.todayonmybike.co.uk/2014/04/cragg-vale-reviewtour-de-france-preview.html – and noted the Lancashire/Yorkshire road surfacing discrepancies! Although I believe they may have been evened up a little since I last went up.